The price of bitcoin rises and falls, and sometimes you may want to convert bitcoin into other digital currencies like Bitcoin Cash. Bitcoin Cash is currently the #6 digital currency, with a market cap of $3 billion. As mentioned here, it emerged in 2017. The bitcoin community couldn’t agree on a solution, so the bitcoin blockchain split, and the result was a new digital currency, Bitcoin Cash. Last November, Bitcoin Cash itself experienced a split, resulting in yet another digital currency, Bitcoin SV. You should always do your own research before making financial/investment decisions, such as converting bitcoin to Bitcoin Cash. Is Bitcoin Cash a better version of bitcoin? One advantage Bitcoin Cash holds over bitcoin is lower transaction fees. High transaction fees may discourage people from spending bitcoin. According to BitInfoCharts, the median fee for Bitcoin Cash transactions on March 31 was just $0.0006, while the median fee for bitcoin transactions was $0.299. However, Bitcoin Cash has not maintained its value as well as bitcoin. The price of Bitcoin Cash (measured in BTC) has fallen from nearly 0.2 BCH/BTC in July 2017 to 0.04 BCH/BTC. Coinbase is one of the world’s most popular bitcoin wallets. Coinbase claims over 20 million users. Coinbase is beginner-friendly. Coinbase offers an easy way to convert between digital currencies for just a 1% transaction fee. Bitcoin Cash has been available on Coinbase since December 2017. Today we will convert $5 of bitcoin into $4.95 worth of Bitcoin Cash using Coinbase. Set up an account on Coinbase. If you don’t already have a Coinbase account, sign up for one. You will also need to add a phone number to verify your account. You can then add fiat money by linking your bank account or debit card, and buy bitcoin if you don’t already have any. Next, you will see this. Tap on the blue button that says “Convert” to begin converting bitcoin to Bitcoin Cash. Although it says “Convert BTC to another cryptocurrency for no fee”, this isn’t quite true. Coinbase may not charge you a fee, but it does charge you something called the spread. The spread is the difference between the bid price and the ask price. In this case, the spread is 1%. Type in the amount (in fiat currency, such as dollars or euros) of bitcoin that you want to convert. Remember, Coinbase charges a 1% spread. So if we want to convert $5 worth of bitcoin into Bitcoin Cash, we will end up with $4.95 in BCH. Tap on “Preview Conversion”. This will show you the amount of bitcoin (BTC) you will be converting into Bitcoin Cash (BCH). Then tap on “Convert now”. Congratulations! You have just completed this transaction. If you hold bitcoin or altcoins, you may want to try and follow this field as it continues to evolve. 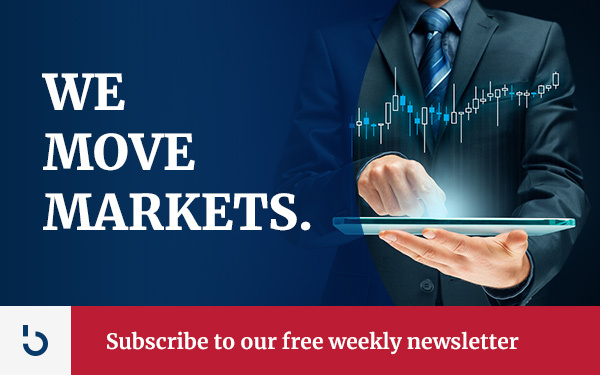 We offer a free weekly newsletter covering topics such as bitcoin futures and Facebook’s proposed cryptocurrency. To keep up with these developments, subscribe to the Bitcoin Market Journal newsletter today!